If you are living with depression, it does not mean living without hope or help. There are multiple self-help strategies that you can employ, as well as a number of resources that you can use. Plus, positive lifestyle choices can also make a difference in your ability to cope with depression. Taking that important first step is usually the most difficult part of overcoming depression for most people. However, fighting back against depression weakens its powers over you. Giving in to thoughts of hopelessness and despair only feeds it further and leads to a deeper depression. Know that depression is an illness just like any other. It isn’t you just ‘moping around’ and it often isn’t something people can just ‘snap out of’ without action being taken. It requires treatment for its symptoms and the root cause of it just like any other medical condition. Tell yourself that you are a worthy human being, and that you are the most important person in your life. Let those words become your mantra: Say them frequently, and with belief. Even if you are responsible for others, you cannot do the best job if you do not value yourself. Taking good care of yourself means eating as healthily as you can. Try to get quality sleep; sleeping well improves mood and mental processes. Call on other people for help when you feel overwhelmed. Friends and family want to help, and they are important sources of support. They can reflect back to you positively and give you a different perspective in which to see events and circumstances that the depression you feel may be causing you to see in a negative context. If family and friends aren’t an option, there are also community resources geared to helping those with depression as well as online support groups that can also provide an outlet as well as encouragement. A report at the BBC’s website highlights research that shows walking is highly effective in relieving symptoms of depression. It also states that physicians regularly prescribe physical exercise for less severe cases of depression. Other types of outdoor exercises are beneficial, too. Anything from cycling, outdoor swimming or gardening can have a tremendous impact on mental health. It is even better to exercise with other people. This reinforces social bonds and allows for vital interactions that include talking, joking and laughter. It is important to choose enjoyable activities, ones that will make it easy to stick with over the long-term. Staying in touch with other people will help to reduce your depression. Social media can be a powerful tool for keeping in touch with family and friends. There are other means to maintain social contact, too. For those who are open to alternative medical options, remedies such as St. John’s Wort, Folic Acid, Omega 3 Fatty Acids and Sam-E’s, have been reported to assist with mild to moderate depression. Do not take these without a doctor’s okay, especially if you are taking anti-depressants already or if you are taking other medication that could interact with these negatively. These are not recommended as remedies for severe depression. The mutual support and encouragement that members of the group give to each other is priceless. Additionally, hearing about other people’s depression can put your own troubles into perspective. You can also learn new coping strategies. It can be highly affirmative to learn something new. Positive affirmation improves your sense of self and increases your self-esteem. Volunteering is extremely rewarding and increases feelings of self-worth. It can be your own or someone else’s pet. This creates a feeling of being needed. It will also improve your mood. Research shows that pets reduce feelings of anxiety and stress in their owners. Pets also provide companionship. If your depression symptoms don’t get better and/or get worse after you have tried some or all of these remedies to help with depression, then see a doctor. Depression is an illness like any other and is thought to be caused by chemicals in the brain. A doctor will usually prescribe antidepressants or psychotherapy or a combination of the two. The very act of talking about your problems and feelings of despair can lessen their impact. A trained professional can help to make you see that things are not as bleak as they appear. It is very important that you seek help if your depression gets worse, it affects the quality of your relationships and life, or it leads to thoughts of harming yourself or others. Speak to a close family member or friend. Call 911 or go to the emergency room of your nearest hospital. Call the suicide hotline at 1-800-273-TALK (8255). Call the Samaritans of New York. The Samaritans are non-denominational and they run a confidential 24-hour hotline for suicide prevention. Call them on telephone number 1-212-673-3000. If outside the US contact a Depression Hotline in your area. There is a proven relationship between mood and music. Music is calming, and it alleviates stress and anxiety. Listening to upbeat, happy music lifts the mood of depressed individuals because it has a positive effect on the brain. Studies in cognitive psychology have long shown the cognitive benefits of music. The American Music Therapy Association can provide details of trained music therapists. Creative therapy is little-known and little-used. It is gaining traction in the treatment of depression, however. According to the Everydayhealth website, art therapy provides therapeutic benefits against depression. Individuals do not have to be artistic to use the treatment. Under the guidance of trained art psychotherapists, self-expression is encouraged via art. It is especially useful for those who have trouble expressing themselves verbally. Through their artwork, people are able to gain relief from feelings that they may have kept bottled up. The group dimension breaks isolation and creates a sense of connection. Children and teens in particular find the therapy of great use. Art therapy is usually offered in outpatient centers, in hospitals and via art therapists who run private practices. The American Art Therapy Association can provide further details. 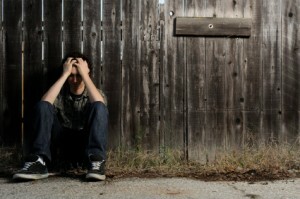 When it is someone else who is depressed, the best help that anyone can give is to listen and to remain non-judgmental. Practical help can involve accompanying the person on medical visits, preparing meals and taking the person on trips. Learning about the disorder and keeping up with research and potential new treatments so as to give good advice is also helpful. When a sufferer is incapable of attending to his or her medical care, a willing helper can liaise with medical staff and become an advocate for the patient. Untreated depression in teens can have fatal consequences, and early intervention is vital. When parents or teachers suspect depression in a teen, they should communicate with each other and let the teenager know of their concern for his or her well-being. Counseling should be arranged for the child, and the cause of the depression should be addressed. The use of prescription drugs to treat teenage depression should be a last resort. If you have severe depression and/or none of the self help methods above are successful then please seek professional medical help from your doctor or health care provider. They will likely prescribe antidepressants or therapy or a combination of the two. Treatment for depression can be successful at any stage of the depression process but is usually easier to treat if treatment is started earlier in the illness process.